Today is the first day of National Novel Writing Month. For all you aspiring novelists, you may want to join in on the fun. This is the website, cutely abbreviated to NaNoWriMo. The goal is to write 50,000 words by the end of November. The goal is not to write a polished novel, but rather to produce 50,000 words. Just get it out, then in the chill of December, you can edit and polish to your heart’s delight. I have had a couple novel writing ideas floating in my head for the past decade, but never did put it down on paper. Strangely enough, I’ve decided to abandon all these loyal veteran plots for an untested rookie tale, one that just came to me a few weeks ago, spurred on by a suggestion from T. I won’t be giving it away now, but it’s an adaptation of the 12 Labors of Hercules, set in Tokyo. Predictably, I’ve assigned myself a series of tasks today that have been effective sources of procrastination. One of them includes writing this blog post. And to further muddy the waters of marathon writing, I’ve also received several books that I ordered, all aching to be read. They must be put off save one, Life of Pi by Yann Martel, which I took with me on my recent trip to Malaysia. It’s precisely the kind of novel I want to write: magical-realism, philosophical, easy on the eyes, funny and compassionate. As my only dedicated reading for the month, I’m counting on it to inspire me. Just for the hell of it, let me tell you what books I received. They will be my Greek chorus for the month. 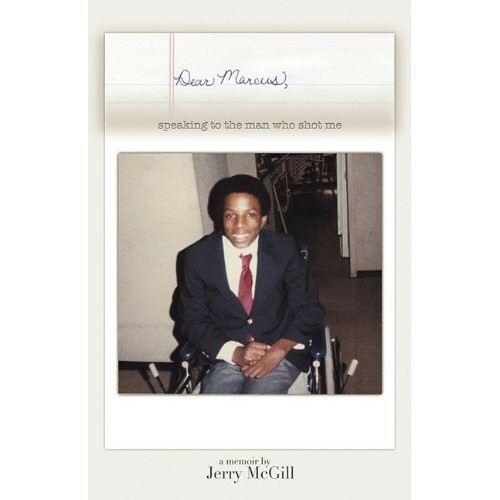 Dear Marcus by Jerry McGill. Jerry is in the top 3 of most interesting people I know personally. And I know a lot of interesting people. This is a memoir in the form of a letter to the anonymous man who shot Jerry when he was a promising teenage performer. Being a quadriplegic really hasn’t stopped him from being a creative force of nature with the sparkly eyes and sly grin. This is the book I’m most looking forward to reading. Steering the Craft by Ursula K. LeGuin. One of my favorite authors writes about how to write stories. There are a lot of exercises and suggestions on crafting tales. The Book of Basketball by Bill Simmons. Simmons is insufferable, a diehard fan of the Celtics who are the hated nemesis of my beloved Lakers. His writing is fetid with bias, obscure unfunny pop culture references, and the self-satisfied wanna-be blue-collar smugness of all Boston sports fans. Nevertheless, he’s the most entertaining sports writer I read, and he’s written the definitive book of basketball, my favorite sport. The Lost Symbol by Dan Brown. I haven’t even opened the cover yet but I can tell you what will happen. All you need to know is that the hero of the story will solve some historical mystery, with the aid of a much younger woman. There will be a suspicious swarthy police officer. A freakish assassin hired by the helpful man will be lurking about and menacing people. The person who seems most responsible for the misdeeds in the novel is not your man. The man most seemingly helpful and benign is the evil mastermind. I’ll be able to identify all these people by the second chapter, yet I’ll continue reading because that Dan Brown writes a fun novel. The World Without Us by Alan Weisman. This book describes in detail how nature would reclaim the built world if humans were to disappear. I nearly read all of this addictive book a few years back at a bookstore in Santa Cruz and it’s haunted me ever since.